To help you find the top choices, we’ve listed some of the best cool money clip wallets for men in 2018 in this review article. When it comes to searching for a wallet, there are simply lots of choices available. Depending on your preference, you can choose the kind of style, type of wallet, features and materials used. 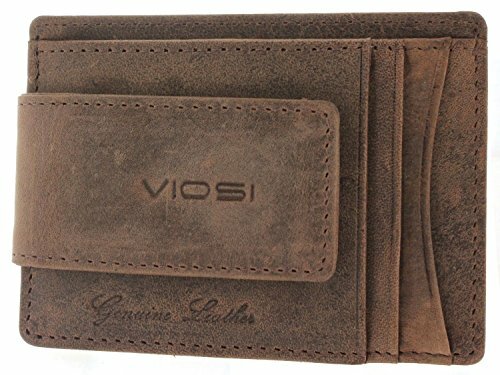 The Viosi RFID Money Clip Wallet is made from fine grain cow hide leather that exhibits superb quality in terms of style and durability. It features 2 bigger slots, 3 card slots and ID window. What is nice with this wallet is that it uses rare Earth magnets that will hold on to your bills making sure that they are secured. On top of that, the brand also uses RFID shielding that is certified by TUV Germany to protect from common frequencies. For its price, you have a durable and stylish wallet that can protect your valuables from theft. 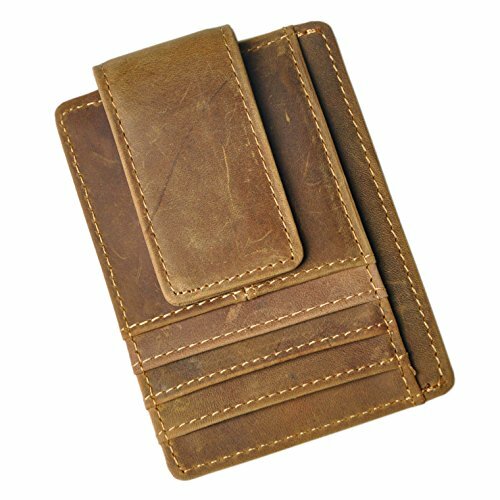 If you are looking for a more affordable option, the HOJ Co. Deacon ID Bifold Front Pocket Wallet is also a good choice as it is made from hand crafted leather with multicard construction. The design is very slim which gives you convenience and ease of use. It comes with ID bifold pocet wallets that has a silver money clip. 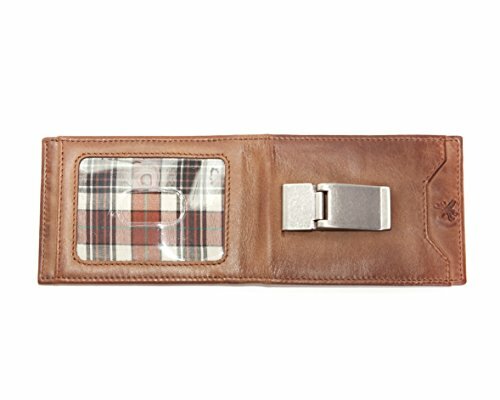 This wallet features 2 interior receipt pockets, 6 interior card slots, 1 exterior card slots, silver money clip and exterior ID window where you can put your valuables like cash, IDs and cards. In the ID window, it features plaid menswear lining. The wallet comes with a gift box which makes the HOJ Co. Deacon ID Bifold Front Pocket Wallet a nice gift choice for your loved ones. The price is also relatively lesser compared to other options. The Carhartt Men’s Magnetic Front Pocket Wallet is made from 100% leather so you are guaranteed to have a durable wallet that is built to last. Same with the previous brand, it is also much cheaper not to mention that this is an imported wallet that features contrast-stitches and has reinforced spine, magnetic money clip with logo in it. It may not be as expensive as the other wallets out there but it can give you the basics you need. The wallet has 3 side windows. In terms of features, you cannot expect much from this wallet but it can cover the basic needs. The Le’aokuu is made from genuine leather so you are guaranteed that you have a money clip wallet that can last for a long time. Weighing just about 0.06 kg, it is very light and has a slim design which makes it very convenient to carry anywhere you go. The wallet comes with 6 card slots, 1 ID window. 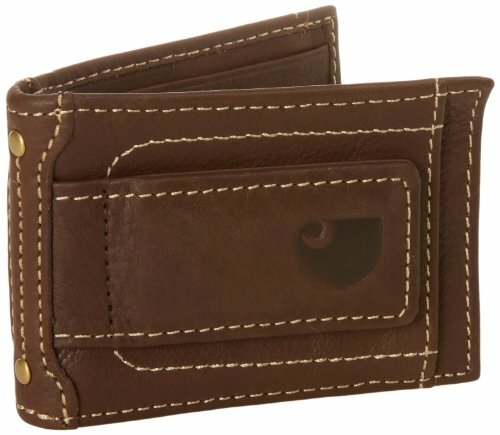 What is nice about this wallet is that it has a front pocket wallet where you can put your cards and money. It is very thin and sleek which is definitely a nice wallet if you are just looking for a good one that is not so expensive. To have a really nice wallet, you do not necessarily have to spend that much especially if you just need the basic features. 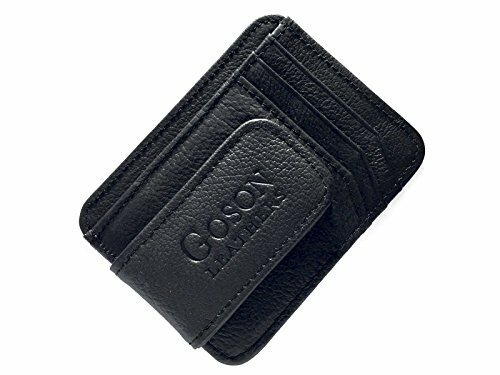 The Goson Men’s Leather Front Pocket Card Holder Wallet is the least expensive that you can find but this wallet has a lot to offer. It is designed to give you convenience and comfort and it can also be used by both men and women. The wallet comes with 3 card slots, 1 ID card slot that is transparent, 2 slide slots with strong magnetic clip. It may not be as innovative and stylish as other wallets but it can give you just the basic functions of a wallet. It has this slim size which makes it very convenient to carry few cards. On top of that, the brand also offers 30 day free return if ever you are not totally satisfied with the product and they also offer 60 day replacement warranty coverage for free.